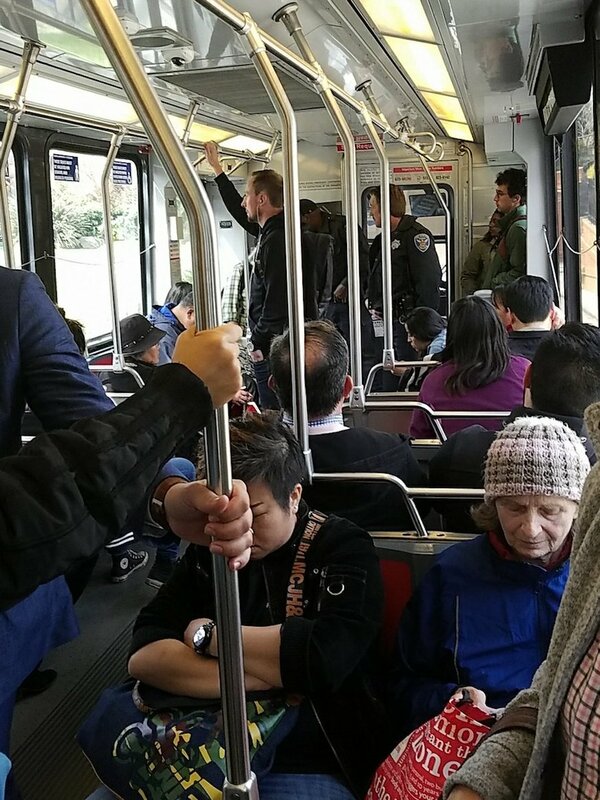 Less than 24 hours after we reported the case of a man who was sexually assaulting women on Muni by rubbing himself against them, the police made an arrest in the case. There were at least four victims in the case, and one of them had commented with her own horrifying account in our original post yesterday. SFBay’s Jerold Chinn saw police officers riding on the N yesterday afternoon and tweeted the photo above. According to SFPD spokesperson Grace Gatpandan, an office from the Taraval Station met with one of the victims yesterday and disseminated the photo of the suspect to Muni Division officers.